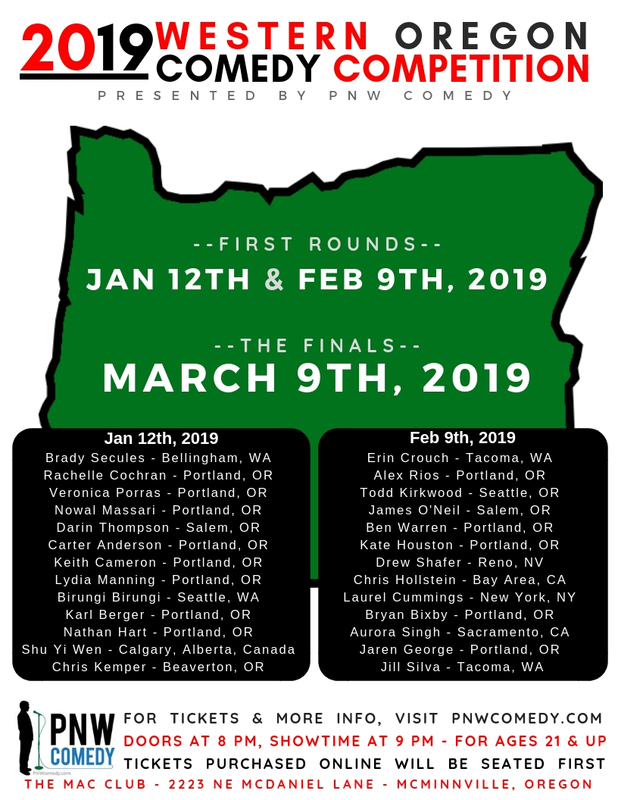 On January 12th, 2019, 13 comics will go onstage to kick off the 2019 Western Oregon Comedy Competition for their shot at fame and glory… and a hella cheesy trophy! Who are these comics? Keith Cameron, Birungi Birungi, Veronica Porras, Brady Secules, Shu Yi Wen, Chris Kemper, Nowal Massari, Karl Berger, Lydia Manning, Darin Thompson, Jaren George, Rachelle Cochran, & Nathan Hart! 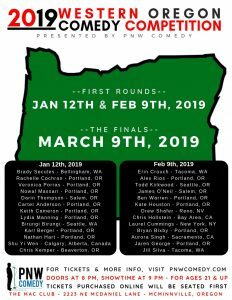 The Western Oregon Comedy Competition is bigger and better than ever this year! 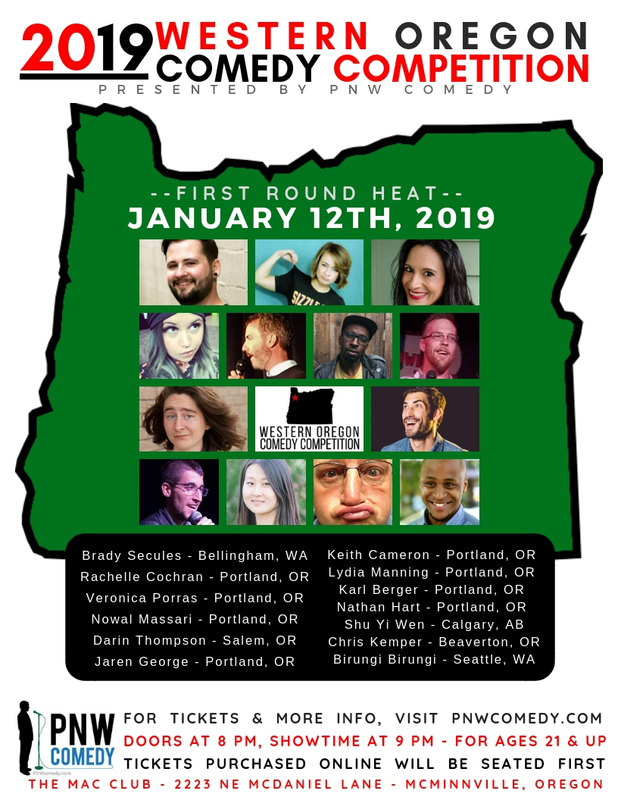 With over 100 comics from 13 states submitting to be a part of the comp, this year’s WOCC is the most talent-filled comedy competition McMinnville has ever seen! The premise is simple- each comic gets five minutes on stage and at the end of the show YOU! (the audience) get to vote for who you thought had the evening’s best set! 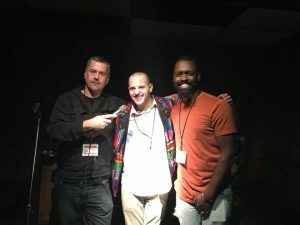 The top three vote-receiving comics move on to The Finals for their shot at a $300 cash prize, future bookings, and the title of the 2019 WOCC Champion! 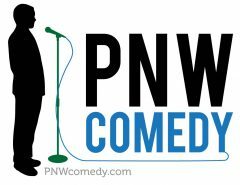 Hosted By PNW Comedy. Plus special guests. Tickets available online at http://wocc.bpt.me/. Those holding online tickets will be seated first with any remaining tickets to be sold at the door the night of the show. For more information, visit https://www.facebook.com/events/252448755612979/. 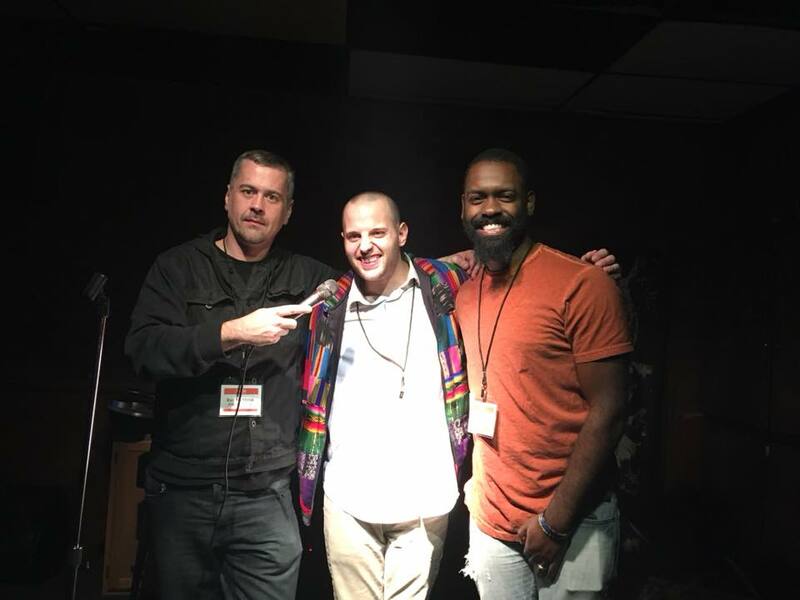 This last round of the 2018 WOCC will be hosted By Andrew Brunello & Mike Lindsey (Tiffany Greysen hosted on March 31st, 2018). 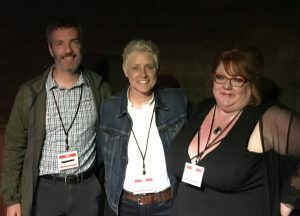 They’ll be explaining the event and going over the voting before the audience casts their ballots to decide who is crowned the new Western Oregon Comedy Competition champion! For tickets, visit http://wocc.bpt.me/ or check out the Facebook Event at https://www.facebook.com/events/183043602299080/. Once again, this show is located at The Mac Club in McMinnville, OR at 2223 NE McDaniel Lane.